It’s important to wear sunscreen at the beach, but some of the substances that help keep you safe from the sun can cause damage to underwater life. 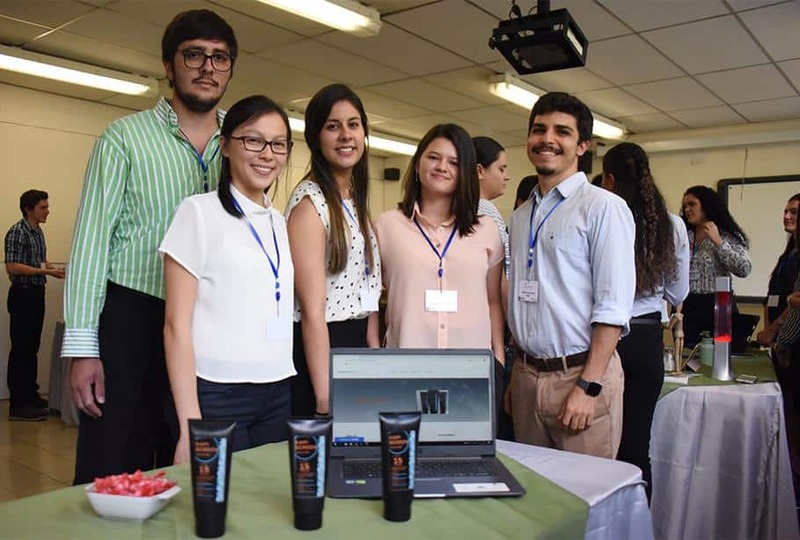 A group of students from the University of Costa Rica (UCR) recently showcased at innovation fair FarmInnova a more environmentally friendly sunscreen that doesn’t contain oxybenzone, a chemical that can harm coral reefs. Their sunblock is called KapiScreen and, according to a UCR press release, it uses a natural physical barrier consisting of an ingredient that facilitates the rebound of light and prevents the absorption of radiation. KapiScreen was developed with input from beachgoers to produce a sunscreen they would feel comfortable applying regularly. “Most people indicated that they choose not to use a blocker because of its thick texture, or because they are too white, or their smell is very strong,” said Mariana Gonzalez Campos, one of five students on the team that created KapiScreen. “Between 6,000 and 14,000 tons of sunscreen lotion […] are estimated to be released into coral reef areas each year, putting at least 10% of the global reefs at risk of exposure and approximately 40% of coral reefs located along coastal areas at risk of exposure,” the report reads. In addition to KapiScreen, other UCR students at FarmInnova presented on LiverOK, a nutritional supplement designed to prevent liver problems for heavy drinkers; Micro-Aoxid, an antioxidant powder designed not to degrade until it reaches the intestines; Gingi-Pop, a chewing gum that promotes oral health; and WeCare, an application that helps the Costa Rican public compile medical information from private hospitals, clinics and pharmacies. Read more about the innovations showcased at FarmInnova here.